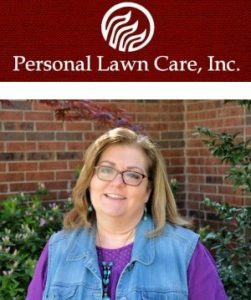 When Pat and Cullen Beard started their lawn service, Personal Lawn Care, in 1987, they knew it would be full of challenges and successes, and they looked forward to fulfilling their dream of being independent business owners. They also knew their business acumen and passion for customer service would set them apart from the competition. Over two decades later, they were ready to take their business to the next level and partnered with Senthold to do so. After their first meeting, Personal Lawn Care entered into a 9 month consulting contract with Senthold, and they couldn’t be happier with their partnership decision. “Working with Chris proved so easy, it was like he was part of the team from the start,” states Pat. In fact, if you go back to the start of Personal Lawn Care in 1987, that’s about when Cullen and Chris Williams, founder of Senthold, first met. Chris was a teen mowing lawns in his neighborhood when he saw Cullen a few houses over treating a lawn. The two teamed up to help one another gain customers for a couple years. Fast forward to the fall of 2014 when Cullen heard that Chris and Senthold had experience taking businesses from one phase to the next with great success. Cullen saw Personal Lawn Care as a steady, established company that was ready to transition to something bigger, more strategic, and impactful to the community. “The time we have spent with Chris has resulted in many positive changes in our company,” Cullen claims. One of the first things Chris did was challenge the Beards to think intentionally by working on Standard Operating Procedures, employee evaluations, and using “time blocks” to plan their day in the most productive manner. He also worked with them to clarify their purpose and determine how to best brand their business. By strategically and geographically trimming the clientele Personal Lawn Care serves by 4%, implementing changes in the way the Beards handled accounts receivable, sales to new customers, and service to existing customers, Senthold was able to help Personal Lawn Care increase profitability by almost 17% in the space of 12 months. “We realized that changes needed to be made in the way that our business was being run. Chris helped us clarify the different roles of our employees, come up with strategies to address client onboarding issues, and increase the level of customer service we offer,” shares Pat. Senthold helped the Beards understand the market and what was generating a buying decision for their customers. Then, Senthold guided Personal Lawn Care in strategically tuning marketing efforts to that buying pattern, which has allowed them to gain higher quality, more profitable clients. Bolstered by the successes Senthold helped them achieve, the Beard’s business is running more efficiently and effectively than ever. Cullen, who has a background in chemistry, is able to focus on his area of expertise – researching and perfecting safer chemical choices for his client’s specific needs – while increasing the customer service that has been a hallmark of the Personal Lawn Care experience. In turn, Pat is able to run the daily operations of the business with fewer distraction from the pain points that brought them to Senthold in the first place.